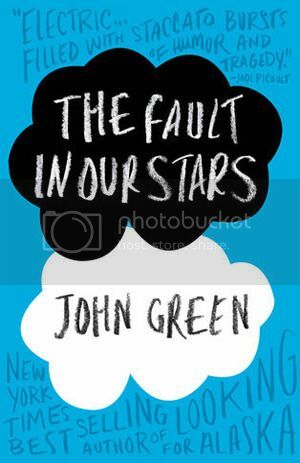 The Fault in Our Stars is my very first John Green read. My fellow blogging buddy, Petra at Safari Poet sent it to me last year, and for some crazy reason, I put off reading it until recently. WHY did I do this??? Beats me! This was a wonderful read, and I’m kicking myself for not reading it sooner. Hazel was such a wonderful, witty, snarky character. Augustus was so very sweet and thoughtful, not your average young man. Their situations made them so much more mature than the average teenager. I cannot even imagine going through what these two characters went through. They made the most of the life they were given, even when death was staring them in the face. “That's the thing about pain," Augustus said, and then glanced back at me. "It demands to be felt”. And felt it we did. Through the pages of the book, through the actions of the characters, all of the pain was there for us to feel. Not only through the main characters, but I felt it through the secondary characters as well. But with the bad, we also got the good. The relationship between the characters was built on sarcasm and humor. What better way to start a relationship, yes? You would think that just by reading the summary of this book that the whole book would be super sad, but it wasn’t all sad. There were moments between the characters that made me laugh and sigh, snicker and full out giggle. I love a book that can make me feel such a wide range of emotions. I want to say, I am super glad that both Hazel and Augustus both had a really great set of parents behind them. Yes, they were typical teens and treated their parents likewise for the most part, but I’m glad that the parents never gave up on the kids. I love books that have amazing parental support. Overall; this book definitely brought on the feels, and I loved every minute of it. I’m both dreading and excited to see the movie next year. It should be interesting to watch. And this definitely will not be my last John Green book! Okay? Okay. **Thank you SO much, Petra, for sharing this book with me!! I can't believe I haven't read this one yet!! I really want to read it even if I'm sure it'll make me cry! !